We sit. Frankly, we sit a lot. We sit at home, we sit on our commutes, we sit at work, we sit during our child’s after-school activities. Sit, sit, sit. And it’s not doing us any favors, either. In fact, recent startling statistics indicate that sitting may be a significant threat to our overall wellbeing. Before you write this off as one of those “it can’t be that bad” indicators, consider these statistics. There are even more (if you need more convincing) in this compelling infographic. Sitting six hours a day increases your risk of death by 40% over someone who sits less than three hours. Between 1980 and 2000, exercise rates remained the same, but sitting time increased 8% and obesity doubled. People with sitting jobs have twice the rate of cardiovascular disease as people who stand for work. And to those of you who say that sitting disease is really a problem only for people who don’t work out, think again. Data shows that prolonged sitting can negate some of the benefits you receive from regular exercise. Let me just say it one more time: How often we sit is a problem. So there it is: sitting is our great nemesis. If you’ve been wracking your brain for strategies that actually combat the gravitational pull to a chair, look no further. Below is an outline for one of NIFS’s award-winning programs, Fit-It-In, with real results that can be implemented in any worksite health setting. But before I get into program specifics, I need to say that if you don’t have built-in strategies for evaluating your programs, you’ll want to be sure you establish that basic infrastructure in order to determine whether your efforts at combating sitting disease are actually working. For more on how NIFS evaluates our programs, read this blog. After all, without effective evaluation strategies, you can’t get fantastic data like this: Before Fit-It-In started, 100% of associates polled indicated they were sedentary at least four hours per day. 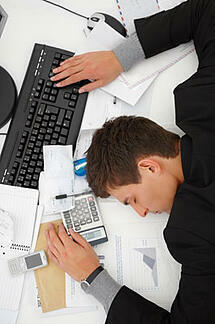 By the end of the program, only 8% of associates polled indicated that they were sedentary four or more hours per day. This conceptually simple and highly effective program, called Fit-It-In, is the brainchild of one of NIFS’s managers, Kathy Douglas. Kathy manages a corporate fitness center for NIFS at a client where there is a lot of sitting. She, like most of us in worksite health promotion, had been following the news coming out in the last few years about the dangers of sitting and felt compelled to address this for the associates she serves. She knew that if she could just get them into the fitness center, she could help them, even with small breaks in the day, to feel better and to gradually improve their health. But she was up against (1) individual inertia, and (2) a corporate culture for productivity that kept associates in their seats. After much research, discussion with leadership at her client location, and careful outlining of the program’s goals and objectives, she launched Fit-It-In. The primary goal of the program was to help improve associate health and engagement by providing them with an efficient and convenient method of fitting in more physical activity throughout their workday. Kathy knew she had a lot of work to do to reach the 500+ associates at her location with a message about moving more, and she was certain that focusing on getting them into the fitness center was going to be met with significant resistance. So she brought exercise to the associates and incorporated a variety of simple opportunities/events through which associates could engage in movement-oriented activities without having to truly work out. Pretty great list of services in the initiative, right? Well, here’s the thing: Kathy knew (she’s been with this client for five years) that unless she was able to get support from mid-level managers, this initiative would flop, no matter how creative, relevant, simple, or potentially impactful it was. Truly, this is what sets this program apart from others. Kathy spent a significant amount of front-end time with managers in the organization talking with them about Fit-It-In: how it would benefit their productivity goals as well as the health of their department members. She also sought buy-in from the executive leadership in her location so that the mid-level managers would know they had the support they needed to get Fit-It-In off the ground in their division. Easy enough. On to the next steps, right? Unfortunately, it took a lot of effort on Kathy’s part to overcome managers’ resistance to allowing their employees to move for five minutes during a meeting, or at each hourly bell. There were significant concerns in some areas about productivity and department goals being compromised because employees would not be 100% focused on work 100% of the time. It’s a common hurdle, but it’s not commonly overcome. Kathy was able to gain a lot of traction with these supervisors by presenting Fit-It-In jointly with Human Resources. She engaged the managers in conversation at the end of the presentation to listen to their concerns and other feedback. Kathy added elements to the initiative in response to those discussions and ultimately was able to remove most of the identified barriers to generate a win-win message. If you want to read about how Kathy was able to go from 100% of associates reporting that they were sedentary for four or more hours to just 8% indicating that they were sedentary for four or more hours each day, you won’t want to miss part 2 of this blog. We’ll dig into the data, as well as offer an overview on how the program was implemented. I’ll also outline some of our key lessons learned. Corporate Fitness Center Turns 20 Years Old! This blog was written by Bethany Garrity. Meet our blogging fitness specialists at the NIFS website. A few weeks ago, I had the distinct pleasure of joining one of our long-time staff members at his corporate client’s fitness center for their 20th anniversary. In the last 20 years, that location has relocated once, and evolved significantly; the offerings have changed as trends in the fitness industry have changed. Perhaps most importantly, we’re proud to say that the manager of the facility has NOT changed…and his members love him for it. NIFS knows how important personal relationships are to successful corporate health initiatives, and Scott has helped more than his share of associates make positive lifestyle changes over the last several years. The 20th anniversary celebration was marked with fun carnival-type games (great for ANY fitness level! ), fun prizes (necessary for any celebration! 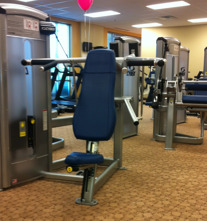 ), and brand new selectorized strength equipment from Cybex. They've been a great partner for us with great equipment, and solid service. NIFS is proud to be a long standing provider of fitness center management services for this client, and we’re grateful to Scott for his long service to his members. This blog was written by Kara Gootee-Robinson. Meet our blogging fitness specialists at the NIFS website. Every May our NIFS Fitness Management staff celebrates National Employee Health and Fitness Month with celebrations at our client sites. The creative staff implements activities that encourage employees to be active in different ways while promoting their onsite fitness centers. Here are some examples of the different ways the NIFS staff celebrated this past month. Food: Who doesn’t enjoy a free snack? Some staff chose to provide healthy snack options for their members. Healthy trail mixes are always a hit, or try something really different like Black Bean Brownies! Simply replace the oil and egg with a can of pureed Black Beans for more fiber! Trust me, they were moist and delicious! Quick Challenges: Participants like to try new things that are quick and easy. How about a push-up challenge? Members were entered into a drawing for participating. Other ways to incorporate quick, heart-pumping activities include hula hoop, jump rope, a timed plank challenge, or even fun on the Nintendo Wii. Stretch/Relaxation Breaks: Remember that all aspects of wellness are important. Manage your stress with relaxation breaks. One NIFS manager provided a dark, quiet area where members could sit and relax to music while another NIFS manager provided stretch breaks outside in the sun. Treadmill Marathons: Those hearts will pump along with the treadmill! Treadmill marathons are always a hit. Simply dedicate a treadmill, decorate it, and see how many miles can be completed by different members in a day! You would be amazed at what those active employees can complete! Health and Wellness Fairs: With some advanced planning, provide a health fair for your employees! Bringing in outside vendors, doctors, and drugstores such as CVS or Walgreens to help provide a variety of screenings for your employees. This is also a great way to promote your corporate fitness center. The NIFS staff was able to provide membership information and reach out to employees who weren't using the onsite fitness center. These are just a few of the great ways employee health was celebrated in May. 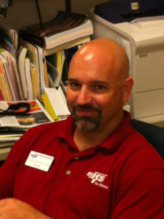 NIFS is the preferred provider for fitness center management in corporations across the U.S. Contact us to find out how we might work together to make your fitness center a healthy success. Are your employees spending too many hours per week at work and not enough hours being active through the week because it's hard to find time to exercise? If your answer is a resounding yes, consider using their "too much time at work" to your employee health advantage. It's well known that adults in the U.S. do not get enough exercise daily. But that’s even more likely to be the case for adults with children at home under 18. Throw a 50+-hour-per-week job into the mix and getting regular exercise can seem all but impossible. You can't do much to change the dizzying schedule of working parents, but you can make it easier for your captive audience (aka your employees) to choose to be an active audience when they are at work. Building an onsite corporate fitness center might be the way to go. But if that seems expensive, intense, or impossible, think about offering a corporate fitness program that includes group classes (such as these offered by NIFS), walking groups, or incentives for running or cycling commuters. Start an "exercise with the execs" program where employees can join the C-suite folks for a walk and a chance to chat about how the company is doing, where it’s headed, and so on. With the right mix of creativity, hard work, and resource support, you can turn your captive audience into an active audience--and help improve their work-life balance. With money being tight in just about every organization these days, companies are looking to cut costs any way they can. At first glance, adding corporate health and wellness programs doesn’t seem like a very cost-effective move, especially if you're looking at building a corporate fitness center complete with an onsite fitness center. Upon closer examination, though, it’s clear that the benefits of worksite health promotion programs far outweigh the initial start-up costs of implementing them. A recent study at the University of Michigan showed just how much a company can save over the long term by focusing on worksite wellness. The corporate wellness program of a large utility company was studied over a period of 9 years. The cost over that time period was rather large at $7.3 million, but it was found that the same “expensive” program saved the company $12.1 million over the long haul, for an overall savings of $4.8 million. 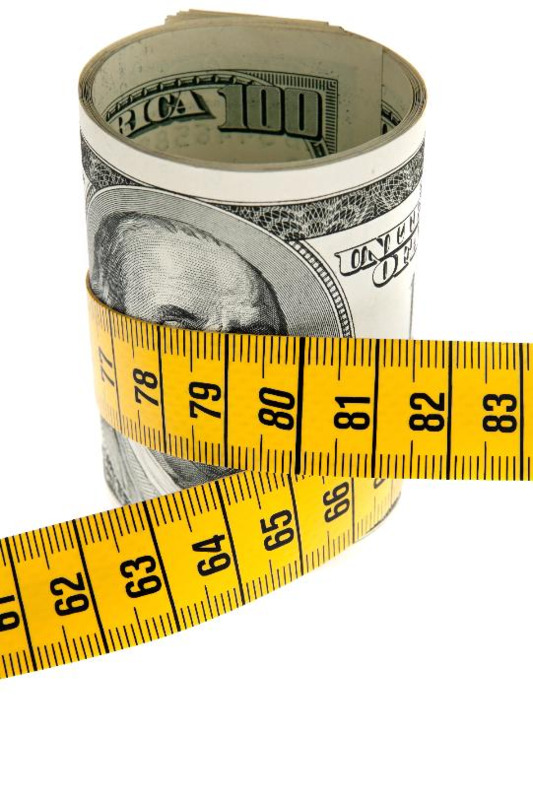 This study is believed to have found the true cost of implementing worksite health promotion programs because both the direct and indirect costs were measured. It may be a tough decision for the leaders of an organization to make because of the initial and ongoing costs of offering corporate wellness programs, such as staffing corporate fitness centers, but there seems to be a high return on the investment. We all know the benefits of regular exercise and seeking to live a healthier life. Those who strive to live in this manner are a welcome relief to many employers. For those who need a little extra motivation, though (or even for those who don’t but like the convenience of onsite wellness opportunities), investigating how your company might be able to move forward with a corporate wellness program is a win-win situation. Your employees are your most valuable asset. What are you doing to help invest in and protect them and thus protect your company's bottom line? ConferenceBike: A Way to Boost Worksite Wellness During Meetings? Ever wish that your workplace was a little more relaxed and lighthearted? When working in a larger corporation many employees spend several hours of their day seated around a table discussing ideas, brainstorming, and solving problems. I wonder what would happen if these sit-down meetings were transformed into moving meetings, on a ConferenceBike. These bikes seat seven people, allowing six participants to pedal as one person steers. It’s like turning a corporate meeting into corporate fitness! Now I will admit they are a little funny looking and the price is a little steep for just a unique meeting place and a way to increase employee health. But it may have the potential to shorten meeting times, increase workplace productivity, improve employee morale, and develop a new type of worksite fitness. Even if you know your company won’t buy into this moving meeting idea, just take a look at the ConferenceBike website for a stress-relieving laugh or a way to get your creative juices flowing. It worked for me! Are Treadmill Walkstations a Valid Workplace Wellness Solution? As a health and fitness specialist in a corporate wellness center, it's not very often that I venture out into other buildings on our company's campus. However, a few months ago on one such trip, I saw a treadmill in the middle of a cubicle area. I did a double-take and realized this was a walkstation, a treadmill with attached desk space and a laptop dock. Now, personally, I find it difficult to read a magazine while exercising, let alone plug away at data or send thoughtful, grammatically correct e-mails, so my gut instinct was that this was a case where multitasking yields fewer benefits than performing both things separately. Pros: It provides a change of pace to work routine; allows an employee to stretch his or her legs and get some activity while continuing to be productive; provides an energy boost when things begin to drag during the day. 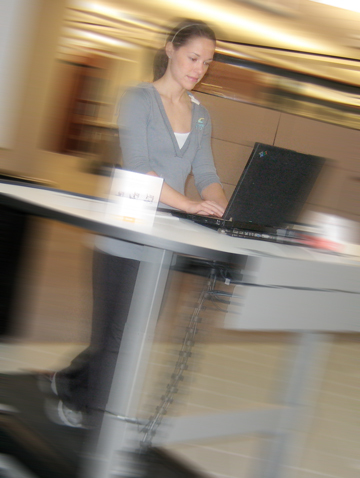 Cons: It is difficult to do tasks that require a lot of computer mouse movement; once the treadmill reaches a speed of 1.5 mph, it is hard to do much besides read e-mail; there is often a self-conscious feeling of being on display, as this is a relatively new concept; the walkstation can be noisy for others working nearby. This particular employee commented that he experiences more energizing and stretching effects simply by periodically standing up from his desk. Another employee made remarks that were quite contrary to my assumptions about the walkstation. She said it forces her to focus on the task at hand and eliminates the distractions of the phone and people stopping by her office. She also said, rather shockingly, that her only complaint was the treadmill was too slow—the speed is capped at 2 mph. I am concerned about safety and ergonomics. To my knowledge, this particular walkstation did not have the capability to adjust the computer screen to eye level, thus increasing the chance for neck strain and shoulder discomfort. In fact, the second employee also stated that after an hour of use, her lower back began to hurt. I'm sure much of the walkstation debate depends on how coordinated and focused the user is, on or off a treadmill. If anything, these are best for very short periods of use. However, I'm not convinced that this invention increases workplace productivity or employee wellness. You've had your morning coffee and breakfast and you're ready to begin your workday. You plop down at your desk to scan through the 50 e-mails you received since you shut down your computer last night. By the time you finish, more than an hour has passed, you've answered five calls, and your boss is begging for your help with an agenda for a last-minute meeting. To top it off, stress is setting in. Guess what? Your brain is already fried and your productivity for the day will probably be minimal. What if your company offered employees 30 paid minutes each day to exercise in its corporate fitness center? Would employee productivity increase? Studies show it would. Exercise has positive effects on the brain. It stimulates the brain and nervous system, decreases stress, and increases performance. I don't know of a single CEO who wouldn't want his or her staff performing better on the job. Fewer mistakes equals more company return, happier bosses, and happier employees. You're probably wondering whether the benefits of opening a corporate fitness center outweigh the cost. The right type of managed facility would. Many corporate fitness centers have trainers who can help individuals reach their fitness and health goals, which means lower insurance costs, fewer sick days, and increased productivity. Corporations can reap many benefits from having a corporate fitness or wellness center. Convince company decision-makers to consider the benefits of allowing employees to exercise on company time. If a worksite fitness center seems out of reach, suggest a company-wide walking program or an exercise class at work. Become a healthy workplace advocate by providing articles and research that show how productivity and efficiency increase with employee exercise (see above). Imagine the positive change that could occur for you and your fellow employees if your company took even a few steps toward better workplace health! Kickin’ Cardio…Butts and Guts…Get on the Ball…fun names, right? These energetic exercise class offerings belong to the realm of corporate wellness and offer unique aspects of fitness that keep a loyal crowd coming back week after week. The phrase “buddy system” is used in so many settings because it works! Find any article about weight loss or exercise and it will cite accountability as a key motivational strategy. Telling a friend about a fitness goal—or in this case, meeting a friend at a group exercise class—makes one more likely to follow through. Breaking a sweat next to a friend ties in the social aspect that makes those squats more enjoyable…or at least tolerable. As a group exercise instructor, I’ve often had to remind my class participants, “If you are able to carry on a conversation with your neighbor right now, you are not working hard enough!” They are having that much fun together! When that friendly Outlook reminder pops up on your computer screen that says, “Kickboxing Class, due in 15 minutes,” it’s hard to ignore. We all know the typical pattern: For those who aren’t “morning people,” exercising before work is out of the question. During the day it’s easy to get wrapped up in deadlines, phone calls, and the like that push daytime exercise off the agenda. So, there you are at 5 p.m., mentally drained. So you think, "I’ll go home and just eat a snack or take a quick nap and then I’ll work out." Yeah, right. Having a specific class that meets only at a certain time makes the idea of exercise more concrete because it can’t be pushed later and later into the day. Another bonus of adding a group exercise class onto your Outlook calendar is that if coworkers notice you are blocked for that particular time frame, they may try to schedule meetings around it. I quickly discovered that in corporate fitness centers, clients deal with high stress levels, never-ending meetings, and work piles waiting at their desks when they return from the gym. In other words, exercise is the escape. The last thing a frenzied, number-crunching employee wants to do in the gym is spend time planning a workout. Leave it to the group fitness instructor to organize the muscle groups, time the circuits, and count the repetitions. Knowing that all you have to do is show up to a class, dressed in your workout gear, makes exercise seem like less of a second job and more of what it’s designed to be: stress relief, a physical challenge, and a recharge of the batteries. 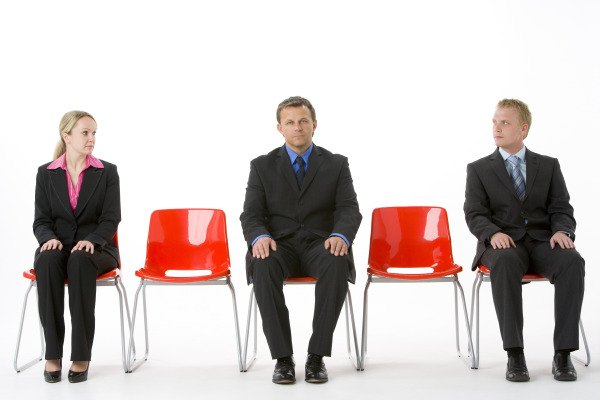 Employees are already offered such an array of professional workshops and classes. Consider adding group exercise into the mix to liven up your worksite wellness initiative. Employee fitness in the workplace is becoming more important to business owners as they look for ways to remain competitive despite the economic climate. Great news - fitting corporate fitness solutions into your employee health benefits may be easier than you think! According to the American Council on Exercise (ACE), time and cost-conscious exercise options will be among the top trends in fitness for 2010. What we love about this predicted number one trend in exercise habits is that it targets both time and cost which are two of the most common reasons reported for not exercising. Even better though, is that it capitalizes on exercise programs that are both time- and cost- conscious which is great for employers who are looking for corporate fitness solutions to improve employee health. Set aside a small meeting room space as your new corporate fitness center. Consult with experts on space layout, exercise equipment selection, and liability reduction to maximize employee health benefits in your program. Consider staffing solutions for your corporate fitness center to give your employees the expertise they need to get full health benefits from your fitness center. Offer group fitness classes to support camaraderie and group accountability. Remember, you don't have to make an enormous capital investment in exercise equipment to develop a robust and successful robust employee fitness program. In fact, spending wisely on a few small, key fitness tools and toys may just put you ahead of the employee wellness curve! 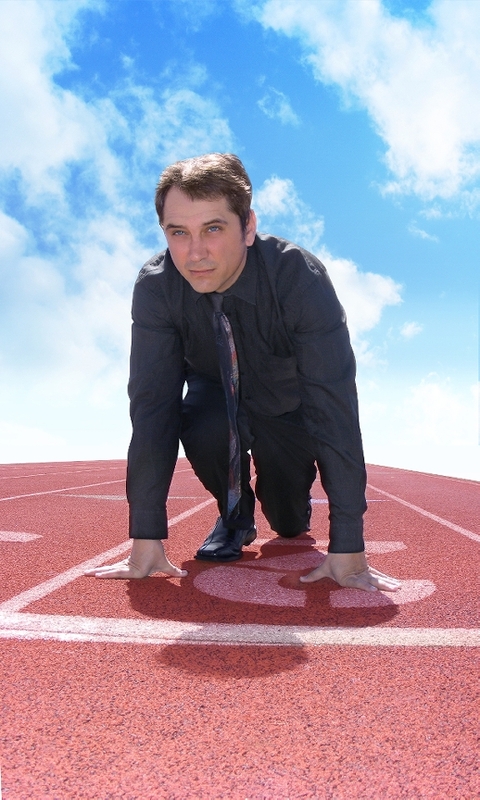 There are more ways to build a corporate fitness program. Share your best practices here and help other organizations get a solid start on their employee fitness program. See the full article of 2010 fitness trends predicted by ACE.